Planning a kitchen renovation isn’t an exact science, but a little research and common sense – factored in with your budget – can produce satisfying results. But even the best of planning can’t prevent the assortment of additional costs that arise unexpectedly. 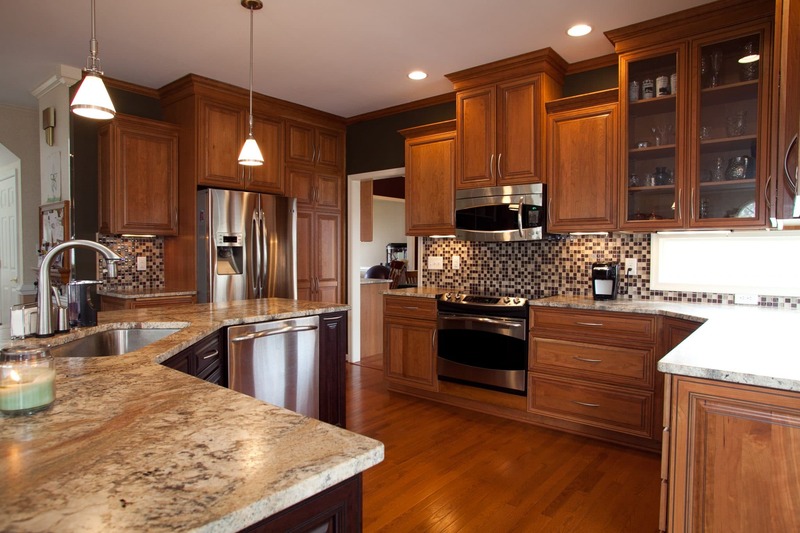 On average a kitchen remodel can range anywhere from $1,500 to 50,000! Depending on where you are on that scale, try to pad your projected budget with a 15 – 20% safety net. If you are able to do this, you will almost certainly eliminate any pitfalls, allowing you to uninhibitedly continue the project which otherwise would have become cost-prohibitive. The type of project you are undertaking and it’s relation to the size of the room is your key to calculating what you’ll need to spend. A major overhaul in which you are virtually replacing everything will easily cost three times more than a minor renovation of purely the cosmetic sort. A primary reason that renovations go over-budget is because owners get caught up in the process and pick products and finishes in the higher-end than they had originally chosen or expected. On the other hand, discovering that products and services were more expensive than anticipated also contributed to cost overloads. 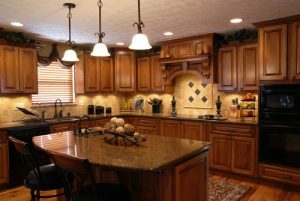 Custom cabinetry, for instance is an expenditure that is often underestimated. While stock cabinets typically cost about $50 per linear foot, customs can run up to $2,000! This is a perfect example of managing your renovation – settle on the designs you want before getting your project underway. Obviously customs are going to cost more, so do the math early on. Another unexpected expense is that of the add-on. Special features that seem frivolous but are enticing enough for you to incorporate each whim as it appears. Especially when an owner gets to installing cabinetry – a wealth of fun ideas come pouring in! Why not put that Lazy Susan in? Why don’t we put in a wine rack too? When struck by such sudden inspiration, consider how much use the upgrades will really be to you. You’re probably getting an idea of how easily costs can skyrocket by this point, so give each potential addition heavy consideration. Few costs vary as wildly as those of countertops. 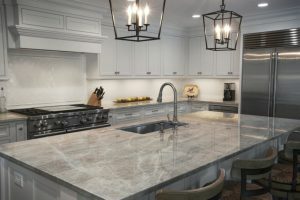 From laminates to quartz to granite, there is indeed a wide spectrum; depending on the material you choose you could be looking at anywhere between $8 to $120 per square foot! This is truly an area in which you want to choose wisely. The high-end is reasonably comparable to what you will find in the mid-level. 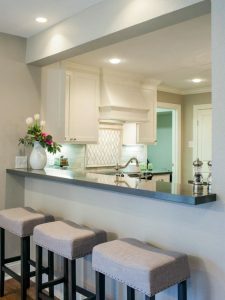 You don’t have to go the cheapest route, but you can find a fine durable countertop that won’t even get closing to breaking your budget. People usually choose to go all out with a renovation when it’s time to replace the appliances. 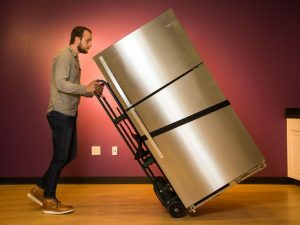 A twenty year-old refrigerator dies, and the owners look around and say “let’s just redo the whole thing… It’s time!” And once again you are looking at a wide range of replacement costs. Obviously there are brands and models well-known for each budget, and whether you’re spending a few hundred dollars or a few thousand, appliances from established makers are all pretty reliable. You may not get the dishwasher or fridge with all the bells and whistles, but you’ll have something that lasts. Among the aforementioned “unexpected costs”, many of them arise from uncovering hidden structural problems. 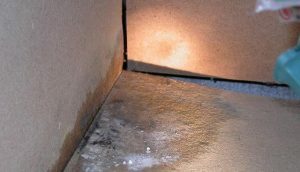 Tear a little away from the walls or ceiling and you may reveal such horrors as termite infestation or extreme water damage. Remember the suggestion to pad your budget? Yeah, this is why… and when it comes to plumbing and gas issues, you have to be certain that you always stay code compliant. Just hope there’s no Pandora’s Box waiting to be opened. As stated earlier you are best off figuring out the logistics – every detail – PRIOR to engaging the remodel. By not having each detail planned out, you leave yourself open to going way over budget. If you haven’t chosen your cabinets by the time it’s time to install them, what will you do if the design you suddenly MUST have puts you grossly over budget? Work it out beforehand, so you have the time to adjust other variables to accommodate. By mapping out a solid game plan based on a safety-padded budget, and resisting any temptation to change direction, alternate materials, and redo any number of details that are otherwise complete, you will, as they say come “within schedule and under budget” – and that’s the type of result that rewards itself!